Sri Lanka’s south coast is endowed with prettiest tropical beaches which’ll guarantee to leave you surprised and delighted at every turn! Imagine palm trees (and palm tree swings), fresh coconut water, stunning blue sea and honey coloured sandy beaches for days! This was certainly my kinda destination and we decided to explore the southern belt of Sri Lanka rather than cramming in as many places as possible on the island in a short space of time. So we ventured out for an amazing getaway to explore the scintillating western and southern coast. 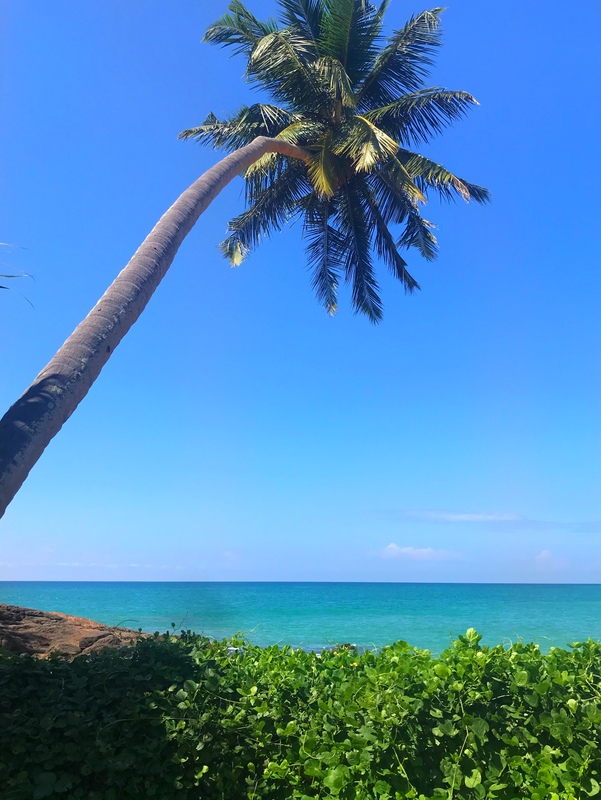 We stayed in Colombo the very first night and headed to Bentota the next day for our tropical trip! December to April is the best time to visit the island as it is the dry season in the popular west and south coastal areas. Colombo International airport is well connected to most countries. Since we’re based in Wellington, we flew with Srilankan airlines, a convenient direct flight (1.5 hours) from Coimbatore to Sri Lanka. This flight is only on Tuesday, Thursday, Friday and Sunday. All travelers entering Sri Lanka (except the Republics of Singapore, Maldives, and The Seychelles) need to apply for an ETA visa for their visit to Sri Lanka. You can apply it online on the ETA website and with in a day you’ll receive the visa approval letter through email. The whole process just takes 30 minutes and you’re done. See it’s that simple! The fee is $20 USD. However, if you’re visiting for business purpose and need multiple visits, the fee is $30. Children under 12 years of age are exempted from the fee. The ETA visa for Sri Lanka can be applied only up to 60 days (2 months) prior to your departure date. • WHAT ARE THE REQUIREMENTS FOR A SRI LANKA VISA FOR INDIAN PASSPORT HOLDERS? 2. Proof of a valid round-trip ticket showing the port of entry into Sri Lanka. 3. Proof that you’ve funds to cover all your expenses during your stay. Airport currency exchange kiosks and many hotels offer currency exchange services. You shouldn’t change the currency at unlicensed money changers on the street. They seem to have better rates but there is a very high chance it is scam. And since it’s a closed currency, it can only be bought once you arrive in Sri Lanka. You may choose to stay at Galle or Unawatuna as this’ll save the travelling time. Bentota and Mirissa are just an hour from Galle. Bentota is located between Galle and Colombo. You’ll love the chic boutique hotels, uncluttered golden sands and of course the tranquility of this place. You can go to the Brief Garden, Bentota Beach, Turtle Hatchery, cinnamon island and Madhu Ganga river safari. And one of the best things to do here is to indulge in water sports. Also I’d recommend you getting up a little early and head over to some of the beaches in the area to enjoy some quiet time. We stayed in Oasey Hotel and Wunderbar Hotel in Bentota. The Oasey has a gorgeous beach right at back of the hotel. The latter one’s beach is at some distance, we used to walk out the back of the property, cross a railway track, and be right there on almost empty beach. Wow isn’t that exciting? Hikkaduwa is the ever-popular backpacker party town. You can surf and snorkel at Hikkaduwa’s beaches. There are a lot of shops selling Masks, Gems, Batik, Antiques etc. along with several Buddhist temples, all which makes it very touristy and interesting at the same time! I’m a huge fan of towns which have a colonial feel and absolutely loved wandering the streets and admiring the buildings here. 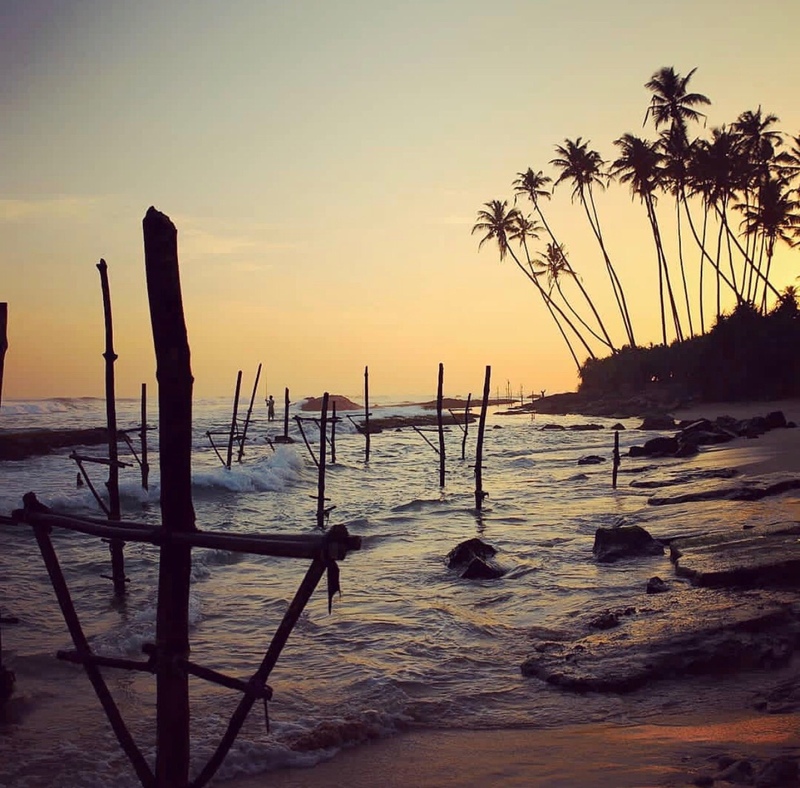 A perfect combination of beach and culture, Galle has it all. It’s a UNESCO world Heritage site. Exotic and totally loveable Galle Fort is one of the unmissable places see places in Sri Lanka. 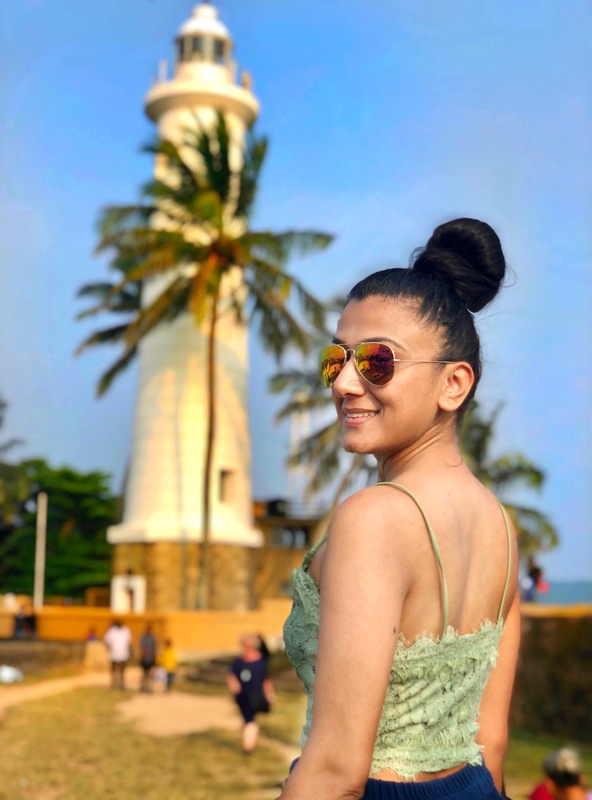 Visit the famous lighthouse, stroll through the Galle Fort interior and shop till you drop as there’re plenty of amazing boutiques, art galleries, spices and gem stores. An awesome laid back village with swaying palms, golden sand and loads of beach bars. 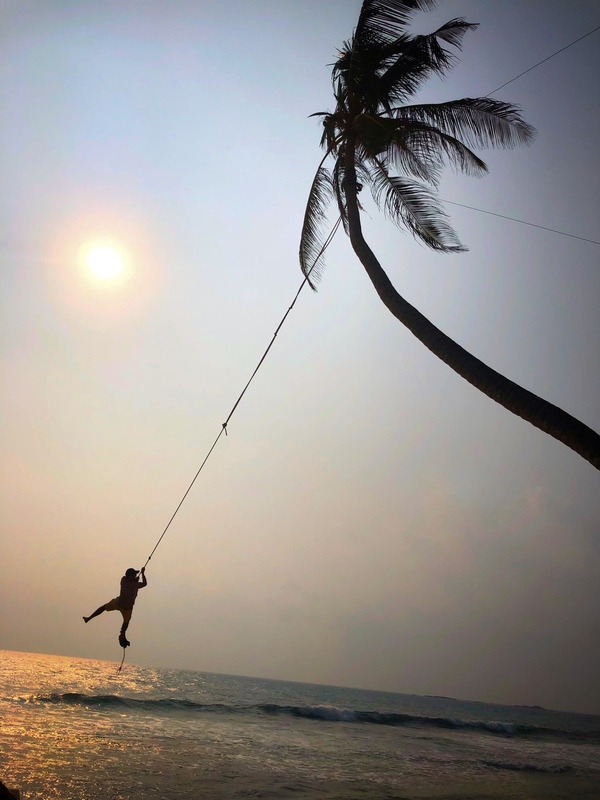 The palm swing in Unawatuna at the Dalawella Beach is simply not to be missed. The exact location is actually in front of a guesthouse called Dream Cabana. This spot has gone viral on Instagram and now every person wants to experience it. But guys it’s totally worth it! We also spotted fisherman practising stilt fishing on our way to Unawatuna and it was a sight to watch! A perfect place to let the days slip by without a care in the world. Whale watching is one of the many reasons people come to Mirissa. But honestly what drove us here was the palm tree grove, it’s a perfect spot for watching the sunset and relax. If you’ve time then you may also go to the parrot rock bridge and the secret beach. Rooftop bars, boutique stores and plush restaurants, Colombo is simply amazing. And though there are a number of sights to see, the capital is also a great place to simply settle in and get a sense of what local life is like. Go to Galle Face Green at sunset to see how locals spend time with their families or simply see how the locals enwraped in colourful clothes bargain at Pettah Market. 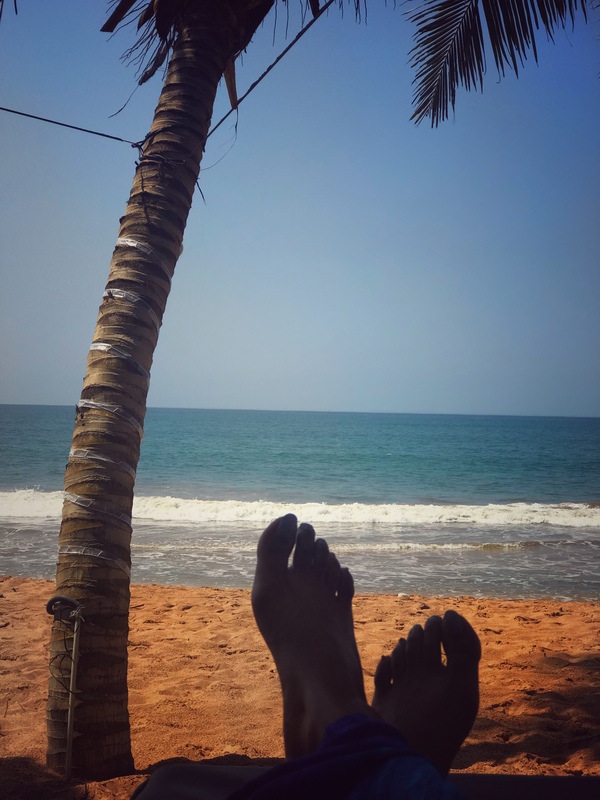 We stayed at Marino Beach Colombo hotel and apart from checking out the city after having explored the southern coast it was simply fabulous to just chill in our hotel. You can go to 17th century Dutch hospital for delicious cuisine, relaxation and retail therapy. It’s home to some of the best shops, cafes and world class restaurants. 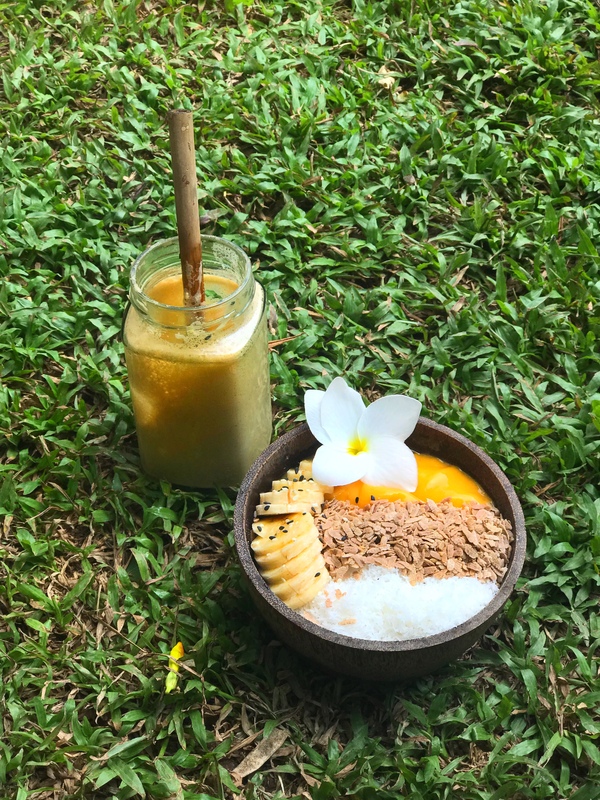 Fresh smoothie bowls, fiery spices, creamy curries, delicious wood apples, spicy egg hoppers, rich flavours and unique textures, well that’s what Sri Lankan food is all about. Whether you’re eating from a street vendor, beach cafe, or in a hotel restaurant, there’s a plethora of food choices you can try! I’m sharing my top picks with you guys. Bentota– Pier 88 river bar, Golden grill restaurant, Malli’s seafood restaurant, Prem Cafe and the gorgeous rooftop bar The Loft where you can sip your cocktails and watch the sun go down. Hikkaduwa– Homegrown rice and curry restaurant for authentic Srilankan curry rice, Mamas Coral Beach restaurant, Spaghetti and Co. restaurant for some Italian food. Galle– Pedlar’s Inn Cafe, Sun House, Fortaleza. Unawatuna– Surf city black & white restaurant, Thaproban beach house, Mati Gedara for Srilankan cuisine, Hot rock. Mirissa– Zephyr restaurant and bar, Shady lane, No.1 Dewmini Roti ship, Barracuda. 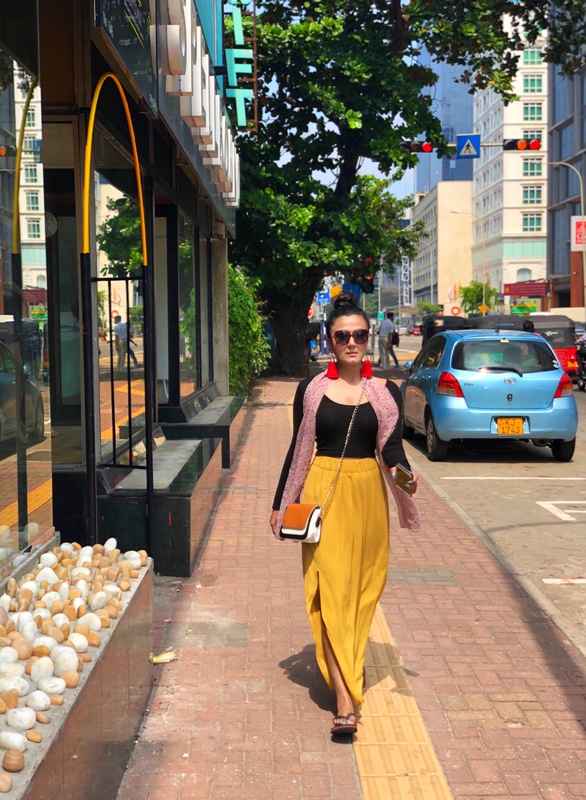 Colombo- Sugar Bistro and Wine Bar, Ministry of Crab, Isso express, Giovanni’s, Upali’s, Whight & Co.
There’re plenty of options to choose from taxis, tuk-tuks, bikes, trains and buses. I found taxis and Tuk-Tuks the most convenient. You can use Pickme app which is the Sri Lankan adaptation of uber which not only has a collection of taxis but also tuk-tuks that are in and around your location. You may also hire a car but you need to spend more than half of the day in Colombo to get your license validated. However if you’re still planning to hire a car then go to these two most sought after car rental companies Casons- Rent a car and Malkey Rental. Also it’s said that in the beach towns, the best way to get around from place to place is to hire a motorbike. Bring your international driving license along with you when you come. You’ll be required to deposit a small amount before renting the vehicle. So there you have it! All the details for beach chilling in Sri Lanka. No matter where you choose you’re guaranteed some palm trees, golden sand, epic sunsets and magical times. What more one could ask for? Hey planning to go to Sri Lanka? Feel free to ask me anything in the comments or you can shoot me an email. I’ll be super happy to help!